I grew up in Brisbane and I’ve always been a car nut as long as I can remember. My father was a motor mechanic by trade and he did all the work on our family cars and of course his dutiful son was there to help – not sure that’s how he’d describe it, but I was there anyway. That first Sunday in October was always reserved for watching the great race and with dad moving between the big 3 (Ford, GM and Chrysler) in my childhood and I switched allegiance from time to time to match. However, my first introduction to motorsport and the real kick of octane for the blood was when my father took up the role of both Service Manager and Pit Crew Manager for Bryan Byrt Ford. It was rather cool having a Phase 3 GTHO for the family car (company car) albeit for a short time. And being a 10 year old and sitting in pits at Surfer’s Paradise Raceway was fantastic, Geoghan Bros and Moffat Mustangs, Norm Beachie Monaro, Doug Chivas Charger, Brock and Bond Toranas and the list rolls on. 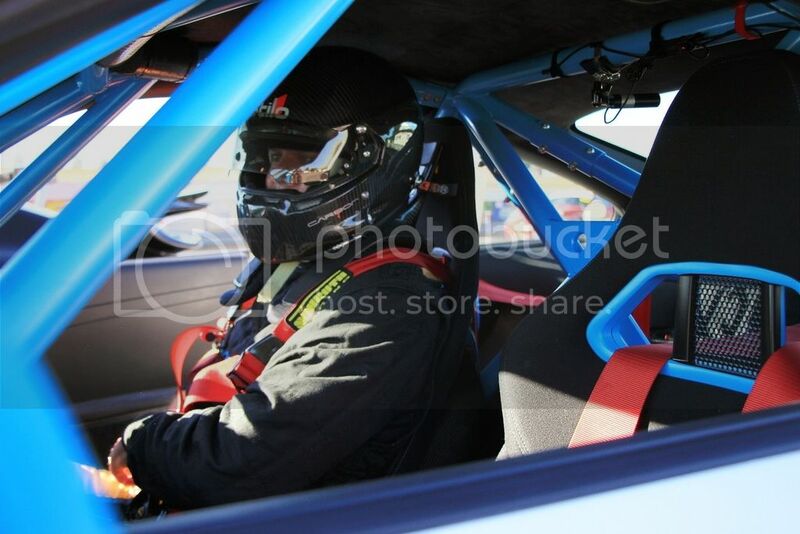 I was allowed to start the beast up when they were warming the car prior to a race and that was quite special. Then later in the 1970’s there was a poster for Schraeder ( I think it was) wheels, gold hot wire centres with chrome polished rims fitted to a Garnet Red 1976 Porsche 911 Turbo. The shape of that car just connected with me for some reason and I was smitten with the brand from that point. 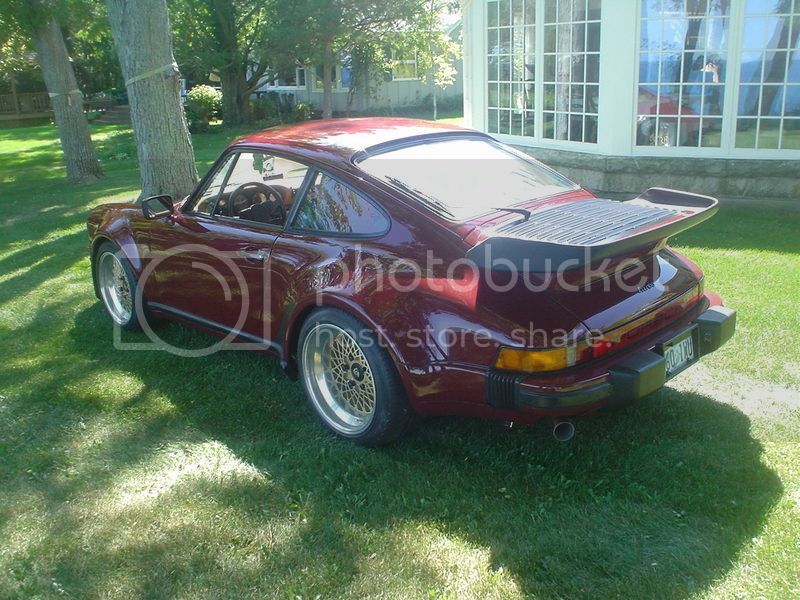 I am still drawn to viewing a 911 from the rear three quarter view, the shapes of those curves has its hooks in me. I started my apprenticeship as an electrician with the QLD Electricity Generation and Transmission Company in 1979 and went to university part time. On route to Uni 3 nights a week there was a car sales yard on Bowen Bridge Road (near the Royal Brisbane Hospital) called Performance Cars, and boy were they – it was the only exotica car yard in Brisbane that I can recall. As a second year apprentice a 1976 Turbo (deep blue) stood on the front forecourt with a price of $19,000 which would have bought a small home in the suburbs at the time. Earning a princely $5000 a year it was a little out of reach but I spent a lot of daydreaming time trying to devise a cunning plan whereby it would be mine. Over the course of the few weeks it was for sale the price dropped into the 18’s and of course this just made the daydreaming worse. Eventually it was sold. 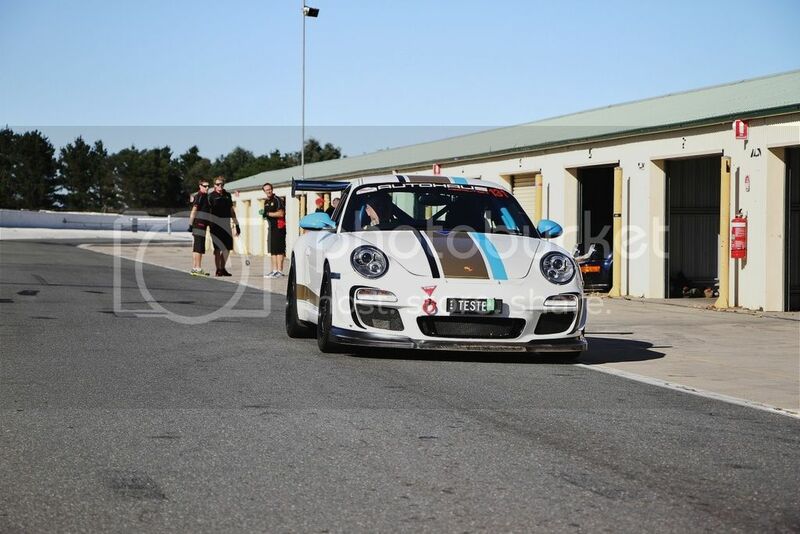 Wind forward approx 25 years, I found out about the Porsche Driving School and for a birthday present I suggested (grovelled is possibly a more accurate term) to my wife that I would like to do Level 1 – what harm could that do. Well it lit the fire, but it was another year and level 2 was suggested for the following year’s present. 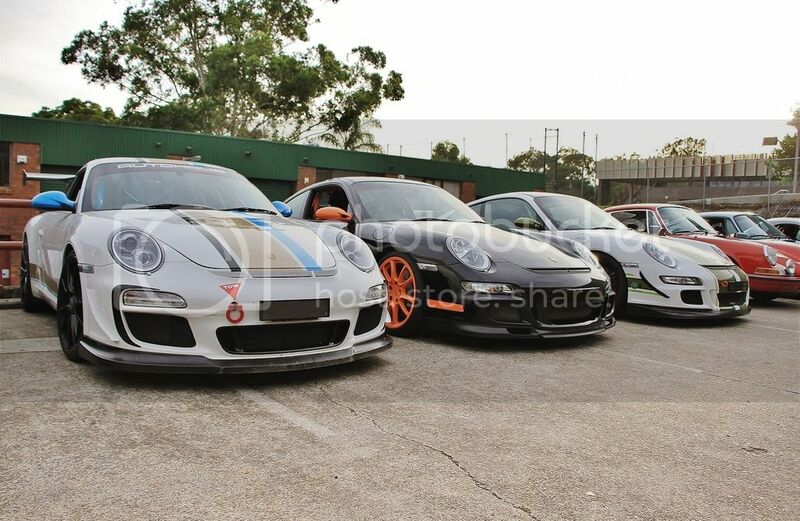 At this point I was getting quite keen and I had been in discussion with Jonathon Webb who was one of the instructors at the school and he told me Porsche Centre Sydney South ran track days for their clients and that he was also involved with those for guidance and training. More information for future reference. 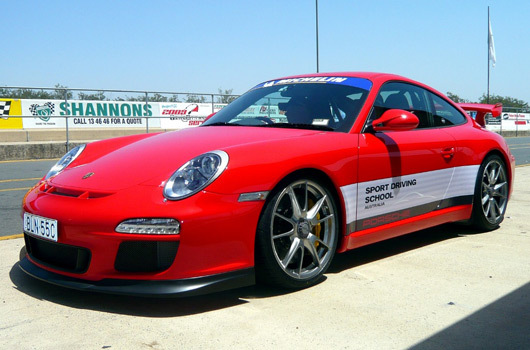 Not long after this we moved to NSW and I booked for the Level 3 and Level 4 Porsche Driving School courses for later that year. Business was going reasonably well and with my annual travels to the driving school my wonderful wife, Tracey ( who being an accountant sees cars on the wrong side of a balance sheet) just idly put to me to see what the costs might be in owning a Porsche. After I came to, I wasted no time in investigations and Sydney South had an ex-demo 997.2 Carrera S in Carrara White with PDK and a few other choice options for sale. Enquiry was made, deal was done and the added incentive was 2 track days and a discount for their Sports Driving Club for the first year. I wanted the PDK as to me if I wasn’t going to get into the track scene it made for a great tourer but the PDK also had faster acceleration times which I found childishly appealing too. 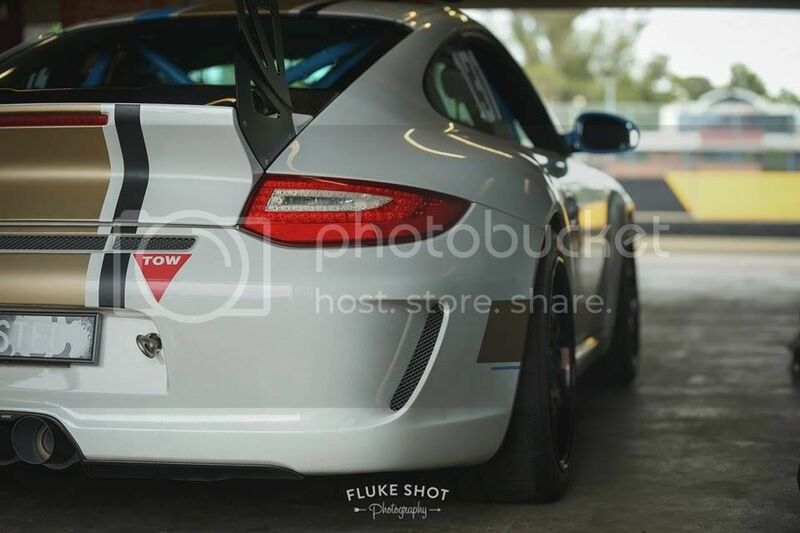 The bigger boon of the PDK was that it allowed me to focus on positioning the car on track without having to concern myself with gear changes. Track day 1 completed, track day addiction had begun. Upon completion of track day 2 I ordered a set of BBS LM-R track wheels and fitted these with Michelin Pilot Sport Cup tyres, helmet clearance was an issue ( My head would bobble around in the rear section of the popped sun roof) as was holding myself in place (one foot wedged up one the coasting pedal/footrest to pin me in the seat). I found that the GT2 folding carbon seats were both very supportive, snug and had a bonus feature of a removable squab or bottom cushion affording an extra few precious mm of head clearance (quite a few actually). 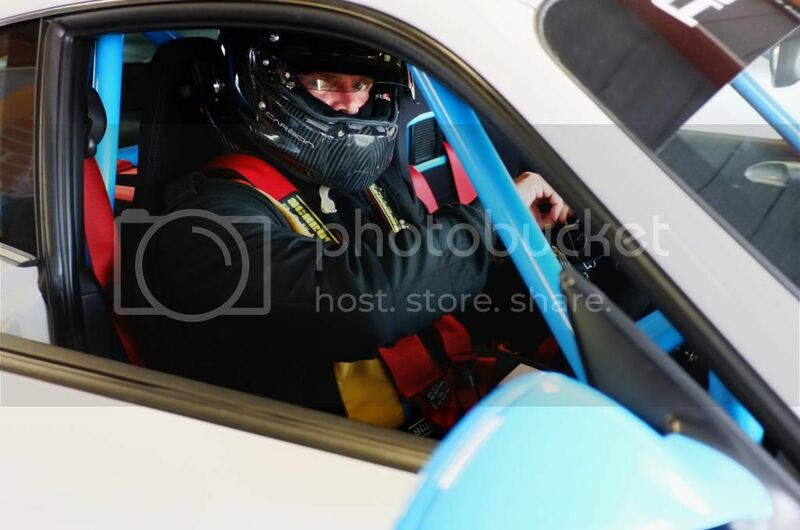 Track days were coming thick and fast and my times were steadily improving thanks to the tutelage of J Webb and co. Tracey was perplexed as I would come home from the first day and say I did a 152 then subsequent returns from events apparently had me slowing 150, 149 etc.. she was quite bemused at my elation of seemingly getting slower, as these numbers were interpreted as kph but she thought “whatever makes him happy and responded with a – that’s nice dear”. I bought a Racelogic Video VBox 2 camera system which also integrated into the CAN Bus of the car so that I could record not just video but all the vital information to further study how to go slower. It was upon the subsequent video review of one outing where the speeds being achieved were revealed and this put a different focus on Tracey’s feedback with more emphasis on what my family responsibilities were and how being safe was paramount. I distorted this view of taking safety most seriously into moving to a vehicle that was developed for the track. 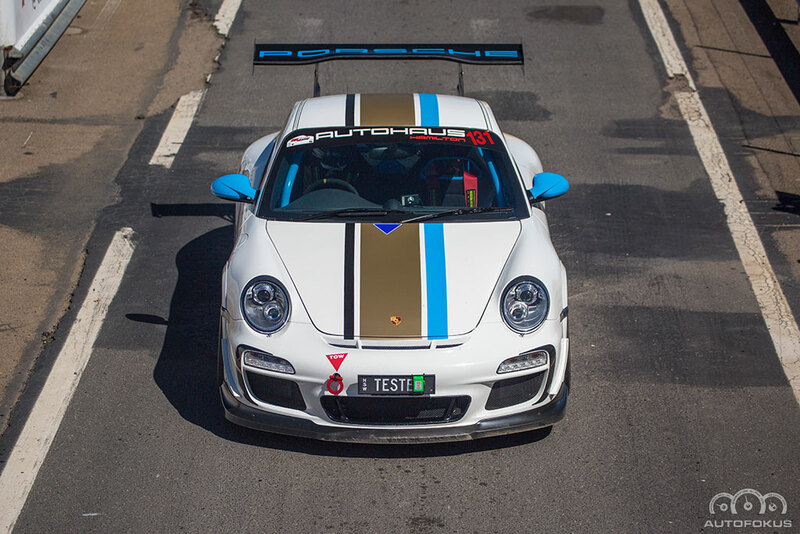 Along came a 997.2 GT3 Carrara White with lots of good track bits, cage, seats, dynamic engine mounts and a nod to my complete lack of knowledge of Sydney street was the PCM and nose lift kit – suffice to say although not an RS an extremely good hit for one with a track addiction. Up until this time I had PCNSW membership but had never been to a meeting and was intimidated by thought of SuperSprint days. While the car was on the production line I went to Camp 4S in Finland and met 3 people Rob Annett, Daryl Head (President and Vice President of PCNSW at the time) and the shy but talented Mr Ron Goodman. Over the course of those 4 days Rob and Daryl convinced me to get to a Supersprint day or two (weekends were and are difficult for me to get to the track) and Ron was organising a track day at Wakefield Park. 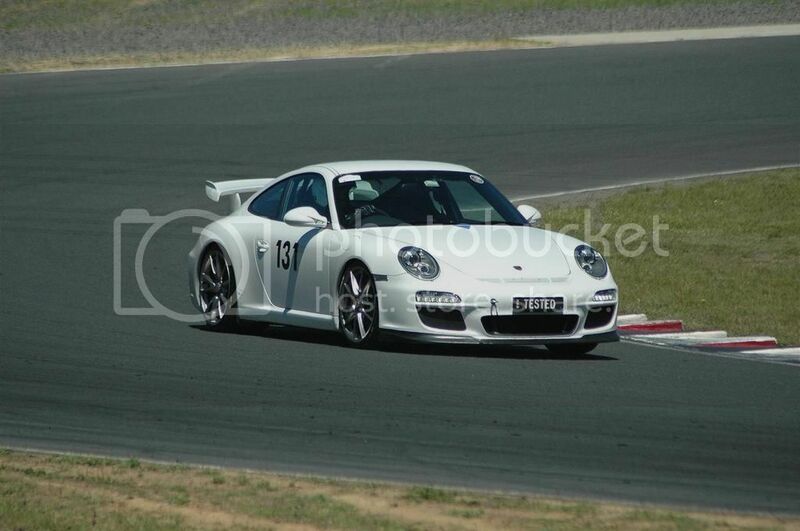 On the GT3 I completed the run in distance on the engine enroute to Wakefield and had a ball. 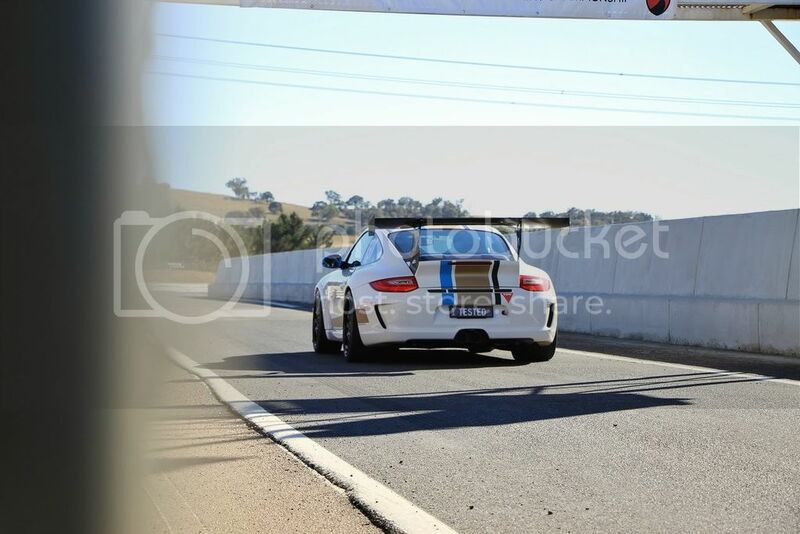 There were a few teething problems with the GT3, I believe I was the first to had an issue with the centre lock hubs, the initial factory torque settings was too low and the run home after Wakefield Park brought forward a slight knocking sound in the left rear, this was as a result of the low torque setting. All four hubs were replaced by Porsche and my CL Torque Stick was re-calibrated for the new setting. The hubs were again replaced as a result of the global recall in 2013. Additionally there was a problem with the bolts that hold the counterweights on the camshafts (997.2 first with both variable inlet and outlet cams), again rectified by Porsche. These 3 gentlemen also informed of Autohaus Hamilton and how the team there provided support for them at Super Sprint days and looked after their vehicles. This all made sense to me so I called up Grant and met with him and thus began the relationship that continues. 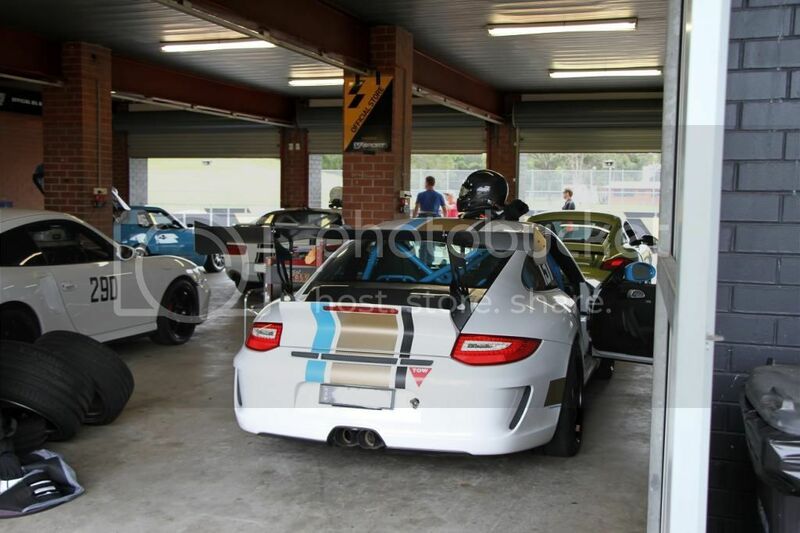 I took the car on Targa Tasmania Porsche Tour for the 60th year celebrations, used the recommended transporter to freight the car to the Spirit of Tasmania dock in Melbourne I arrived at the dock to find the car had already been loaded onto the ship. The next morning 6 out of the 8 people who used this transport company had a delayed start to the day due to flat batteries with the keys being left in the ignition all night. I was alone though in having the unique experience of one the transport drivers attempting to have a play in the car which resulted in trashing the clutch (material looked like a bag of fairy floss), pressure plate and flywheel – both of these were the colours of the rainbox. I was without my car for 2 days, Porsche stepped in and gave me a demo 997.2 Cab to use and only one day of stage driving in this car – the prologue section so nothing exciting. I did get a Boxster Spyder for the Simmons Plains play day on the arrival day also. 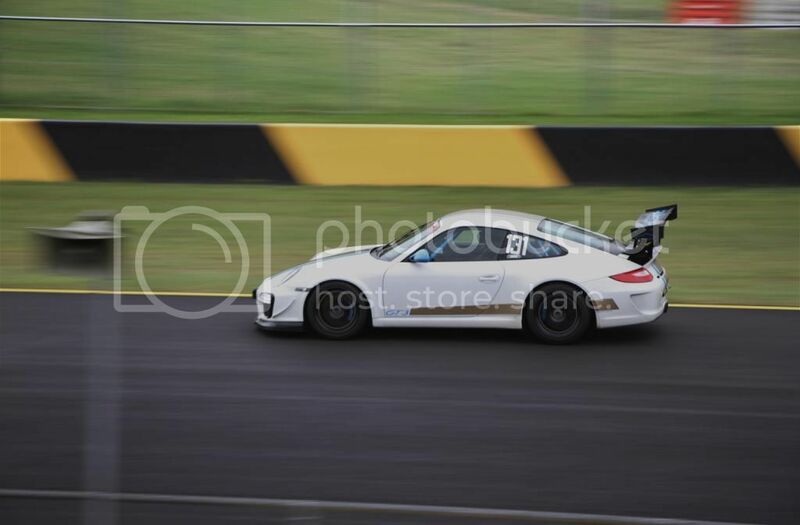 Since that time all traveling and transport has been at my own mistreatment and what fun that has been, road trips to Philip Island, Morgan Park multiple track days at SMP and Wakefield Park, Sunday mornings up the old Pacific Highway. The ownership experience or moreover the connections experienced during car ownership has brought me into a small but special group of friends who revel in each others successes and of course balance this out with equal servings of derision when the opportunities present themselves. The engine is untouched and gets its annual leak down test at Autohaus just to keep an eye on things. 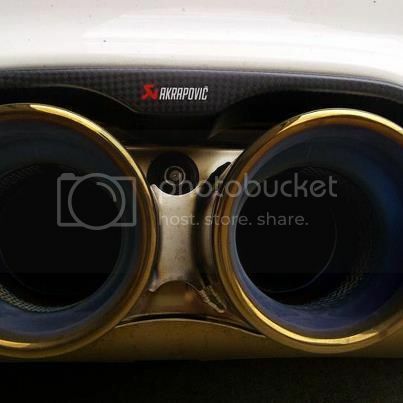 The first change was the exhaust. Exhaust improvement has been a long term project, first mod I went straight off the deep end for an Akrapovic Ti system. Loved the sound on track but the drone on long distance trips and the need for noise cancelling earphones finally got to me. Now fitted are headers, rear muffler bypass with manual control over OEM side muffler valves (my unicorn solution) – this is great because normally once over 4000 rpm the exhaust bypass operates and unleashes one of the greatest engine exhaust notes however with more and more tracks having noise limits imposed this new system allows me to have control over the valves manually and keep it as quiet as possible, not that 90+db is church mouse like. For reference Philip Island is now 86db weekdays I believe, I believe my father’s Corolla would break that! 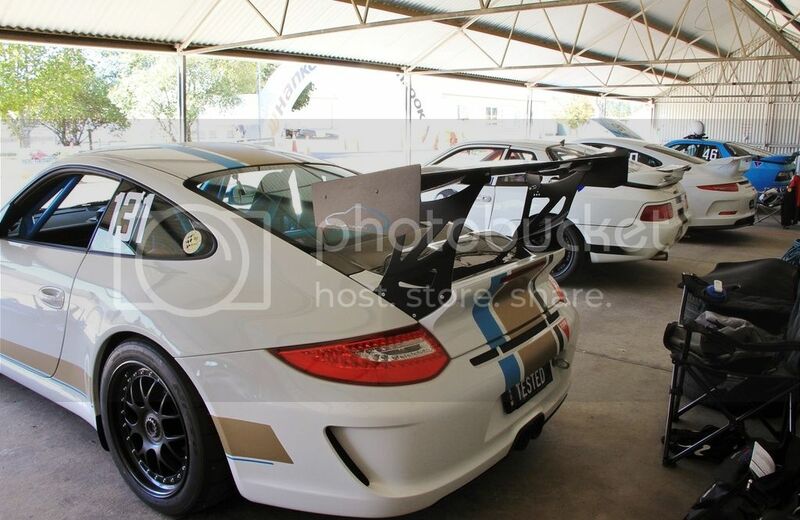 The GT3 being Carrara White makes for a blank canvas and the first trip to Mr Goodman resulted in some subtle changes. One the later additions which had both a weight and safety benefit was MovIt Carbon Ceramic brakes, savings on unsprung weight were great as well as the diminished requirement for replacing steel rotors, I was going through these reasonably regularly and the benefit of MovIt’s (made by Surface Transforms) over OEM PCCB is that the rotors can be rebuilt approx $600 per rotor versus PCCBs that get tossed at a replacement cost of over $4000 per rotor. Their stopping capability is brilliant. 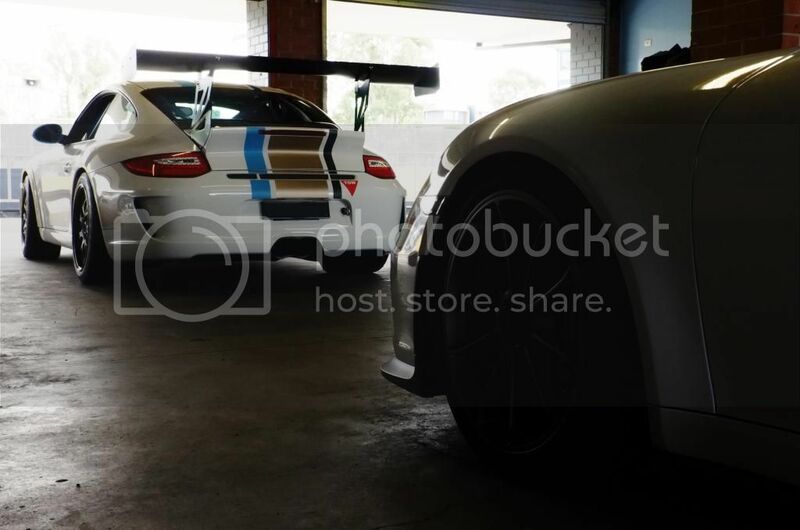 Since our first meeting Grant and team have been there to work on integration of modifications and maintaining the car in top order, suspension setups and tips on handling. Grant listens well to my rough interpretation of what the car is doing, moreover what I am doing to the car, and makes subtle changes and each outing I learn a little more. Grant and the team always have intelligent responses to problems and will dig until they find an answer when presented with a new challenge. 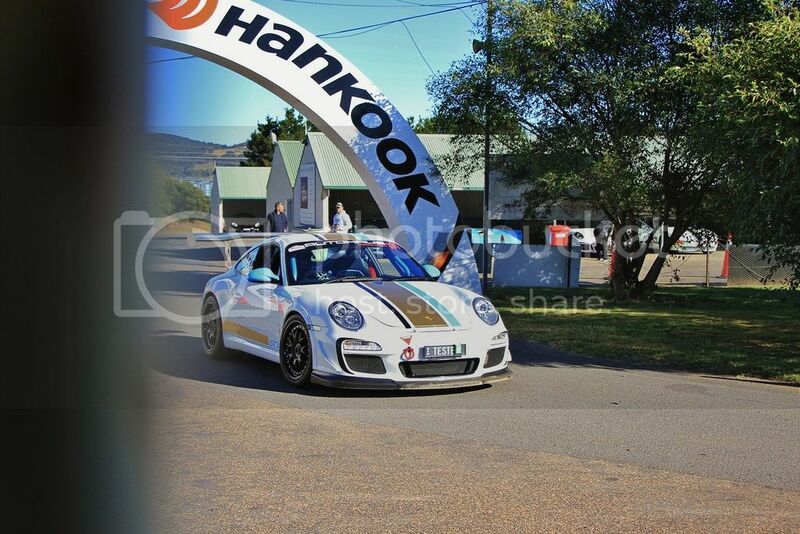 For 2015 I plan to do all the PCNSW Supersprint days, I am going to Bathurst at Easter for the regularity run (bucket list track that one) at least one road trip to Phillip Island, Rennsport Reunion V in October. Both personally and as a group I/we marvel at the fact that we drive to the track, change wheels. Go as hard as possible all day. Change the wheels and drive home. How many brands of car can you do that with? My early days at the track I would often see people scurrying under open bonnets of some other European speed sleds. 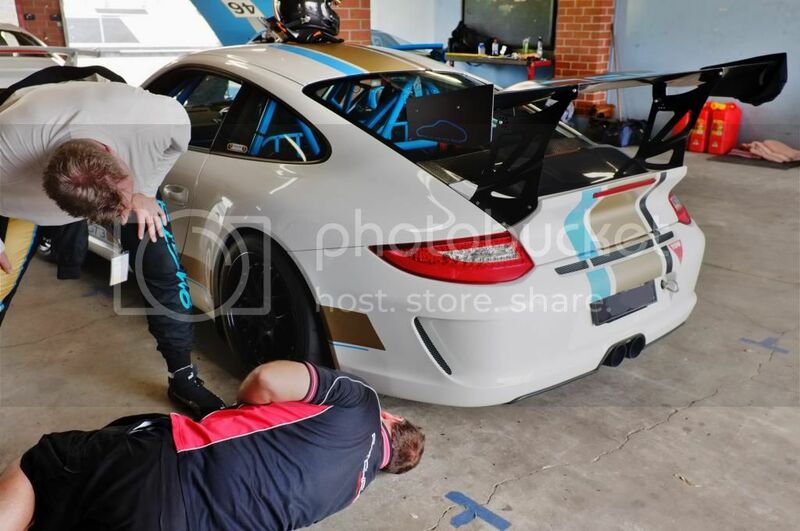 Even friends with other German marques always comment on Porsche brakes and their reliability at prolonged track work where theirs can only run for 4 – 6 laps then need a breather to cool off. 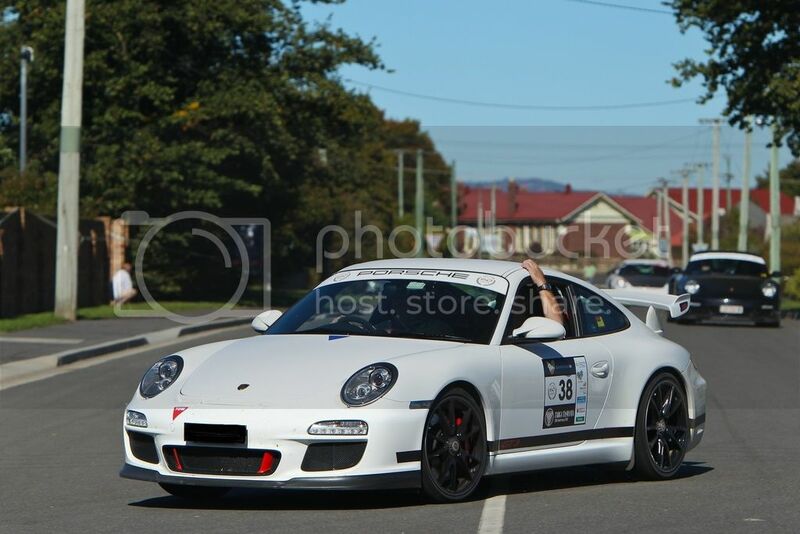 I love the car and still love every bit of seat time I get, it will never need another home in my lifetime but I do have space to fit my dream car – 2005 Carrera GT a lotto win might help that out! A car enthusiast never stops fiddling, Tony’s 911SC. Week 15, 2015 - In Photos.